It’s cracking the flags out there! 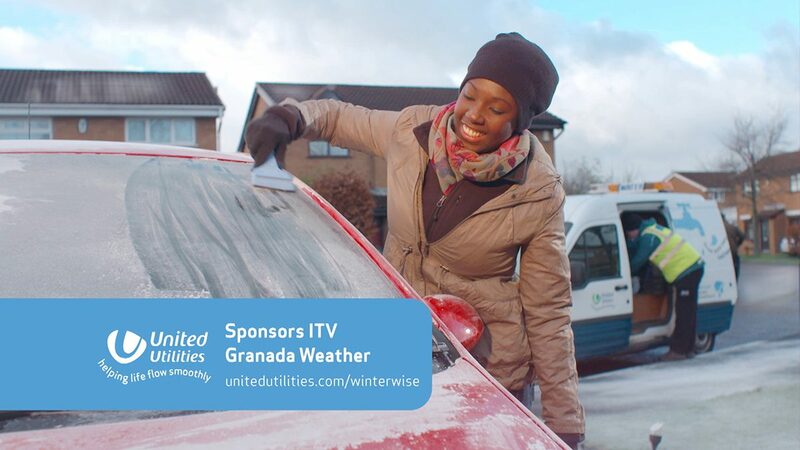 Working with the communications team at United Utilities we conceived and created a new set of idents for their sponsorship of ITV Granada and Border weather. The live action idents are based around the day to day activities of several real United Utilities employees in different areas across the company with the aim being to capture key characters in the organisation. Several of these employees had been already featured on the BBC 2 documentary “The Watermen”. The United Utilities idents were shot over 9 days on location in the North West, filming everywhere from call centres and customers houses to reservoirs and underground tunnels. Working with the client to develop the concept and produced in house we collaborated with post production company and commissioned a soundtrack composer to add the finishing touches to the indents.